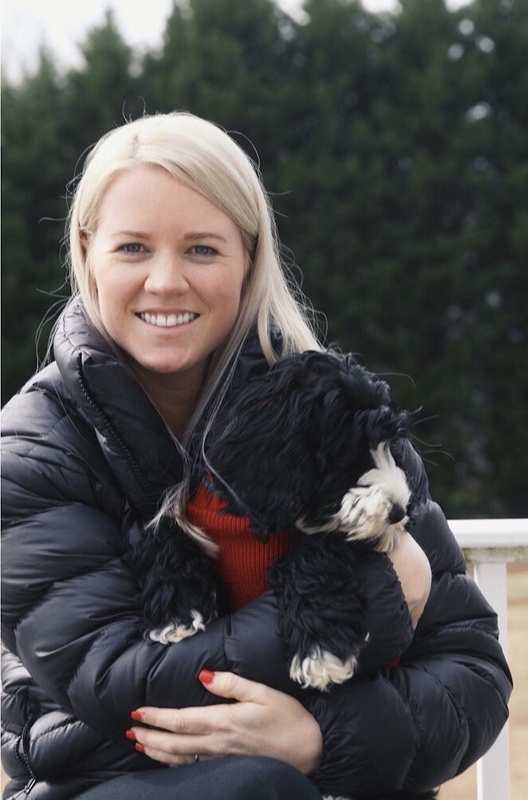 Jenny Blume, owner of Swinging Gate Australian Labradoodles is the East Coast’s premier breeder of the Australian Labradoodle. The idea for Swinging Gate Labradoodles was born out of Jenny’s desire to find a new personal companion for herself. After many months of painstaking research, she discovered Whispering Winds Australian Labradoodles out of Washington State. She contacted owner Gail Widman, and soon made her way across the country. It wasn’t long before her desire to obtain a new puppy developed into a yearning to bring this incredible breed to Eastern part of the United States. The Swinging Gate family got off to a modest start with the arrival of Whispering Winds Kaki. A very pregnant Misty Point Sandy Beach sired by Aaprina in Boo-Boo’s E-3 “Taz”, was quick to follow and a new home filled with vibrant high quality Labradoodles was established. Rachel Cranfill, Jenny’s daughter, has been an integral member of the Swinging Gate family since the beginning. 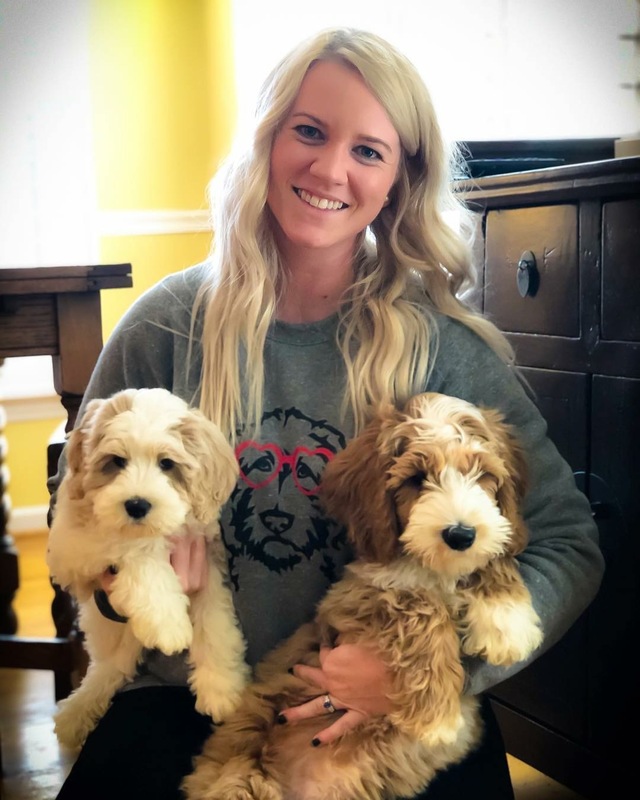 What grew out of a love for the breed, lead Rachel to naturally assume her role as equal partner of Swinging Gate Labradoodles. Here at Swinging Gate, no decision having to do with our family of Labradoodles is made lightly. A great deal of effort goes in to finding and ultimately breeding our dogs. We take into consideration multiple elements such as an animal’s pedigree, temperament and body structure when researching potential additions to our growing family. It is our hope that the care we take in selecting our breeding stock is evident in the puppies we are fortunate enough to birth and raise in our home. Each puppy, from the moment it is born, lives as a member of our family; sharing in our main living areas. We begin to train our dogs before they leave for their new homes. These puppies are hand raised to ensure that once adopted out they will effortlessly assimilate into your own family. 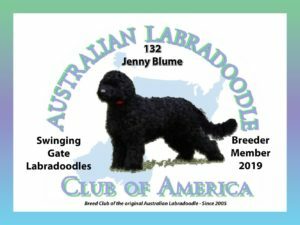 A proud member of the Australian Labradoodle Club of America, it is our goal here at Swinging Gate to provide the most loving environment possible for our puppies. We work with only the best breeders in our endeavors and prefer the low volume high quality approach for adopting out our puppies. Our multi-generational Australian Labradoodles are bred from parents out of Tegan Park and/or Rutland Manor Research Centers in Australia. Staying true to the vision of those who founded this incredible breed is an important element of our breeding philosophy.